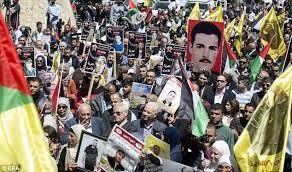 Palestinian mass hunger strike takes dramatic turn – Royal Times of Nigeria. More Palestinian prisoners are joining the mass hunger strike which entered its twenty-sixth day today, with the campaign assuming global proportions amid worsening health conditions of hundreds of strikers languishing in Israeli jails. 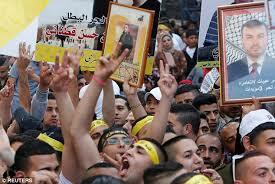 Sawt al-Asra, also known as Voice of Prisoners radio cited anonymous sources as saying that nearly one hundred Palestinian inmates from different political factions have decided to join the hunger strike. The radio estimated that nearly one thousand, eight hundred prisoners are currently participating in the strike. However, the Palestinian Prisoners’ Club put the figure far higher, saying more than three thousand prisoners are taking part in the strike. Israeli authorities have, however, claimed that fewer than one thousand prisoners are participating in the strike. In South Africa, a number of cabinet ministers, personalities, activists and political leaders vowed to join a twenty-four-hour fast in solidarity with the hunger-striking Palestinians.